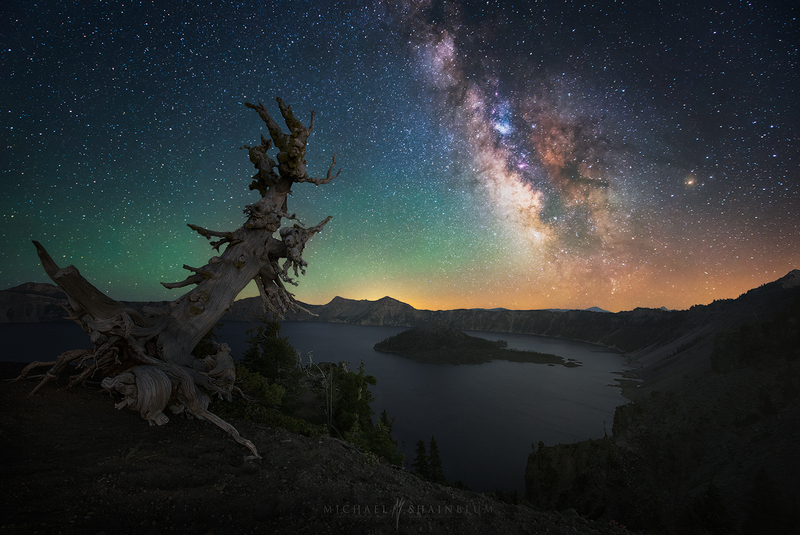 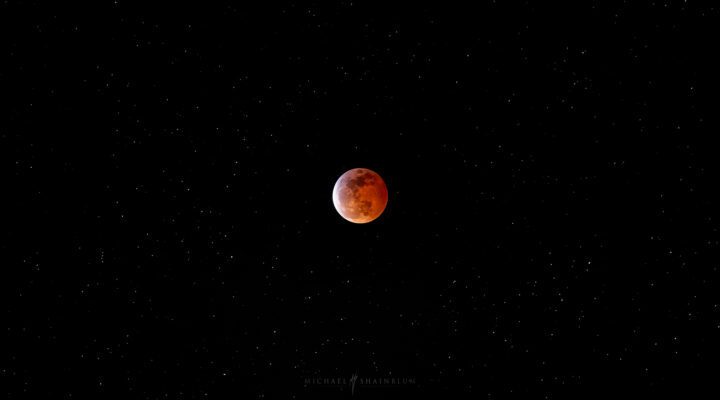 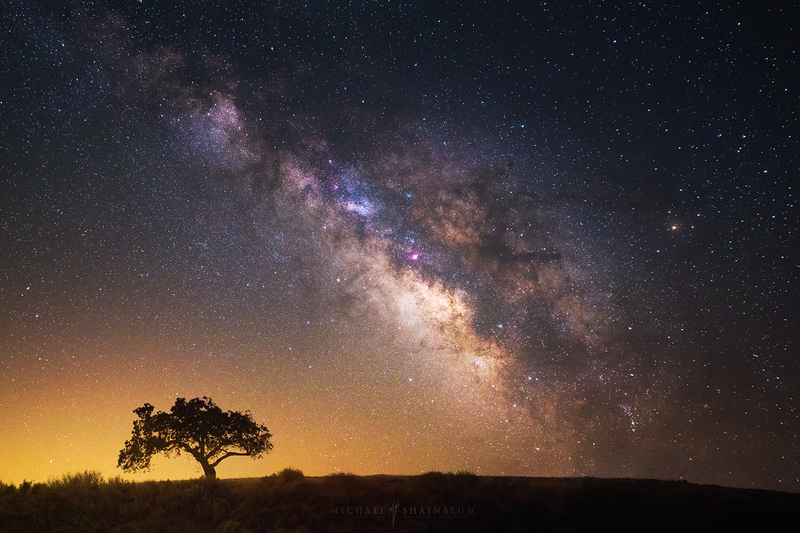 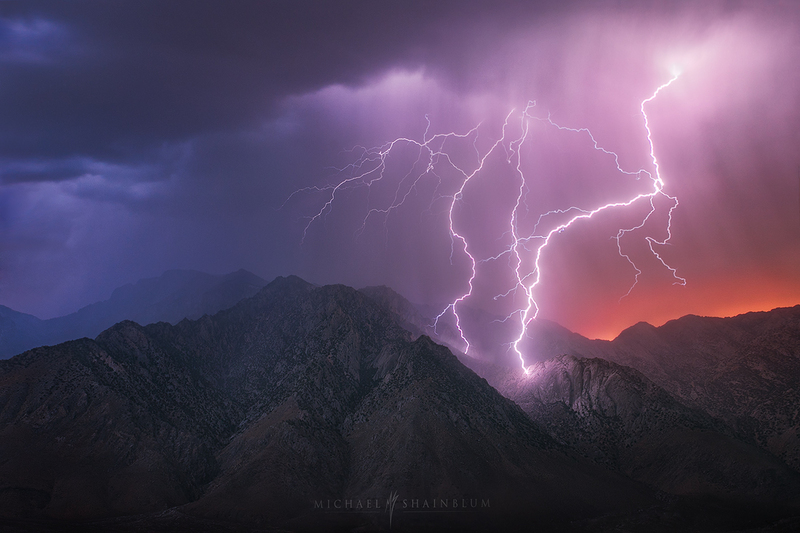 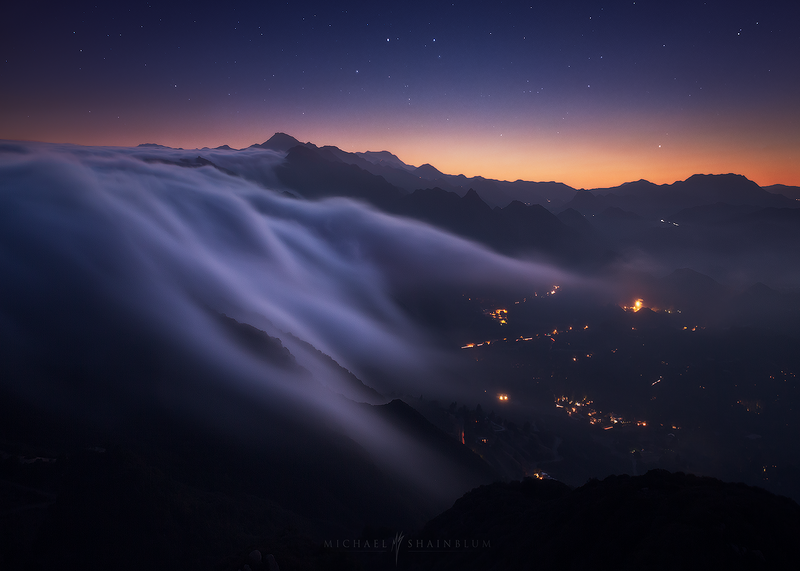 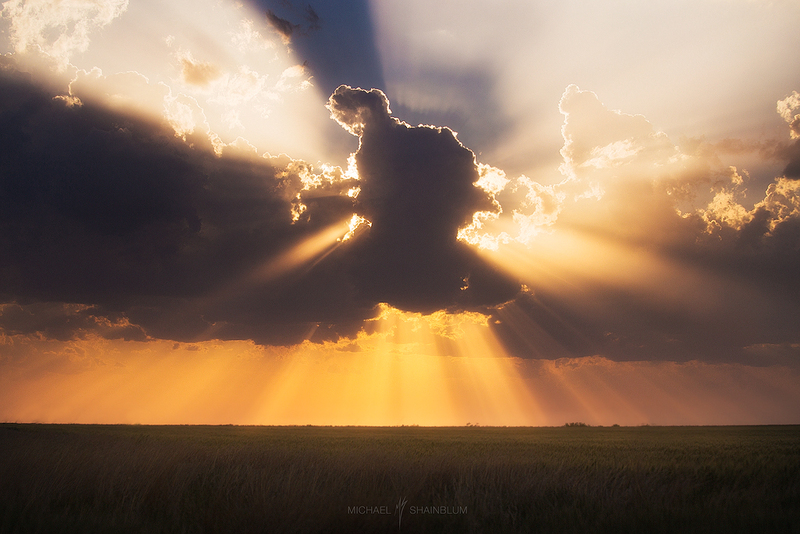 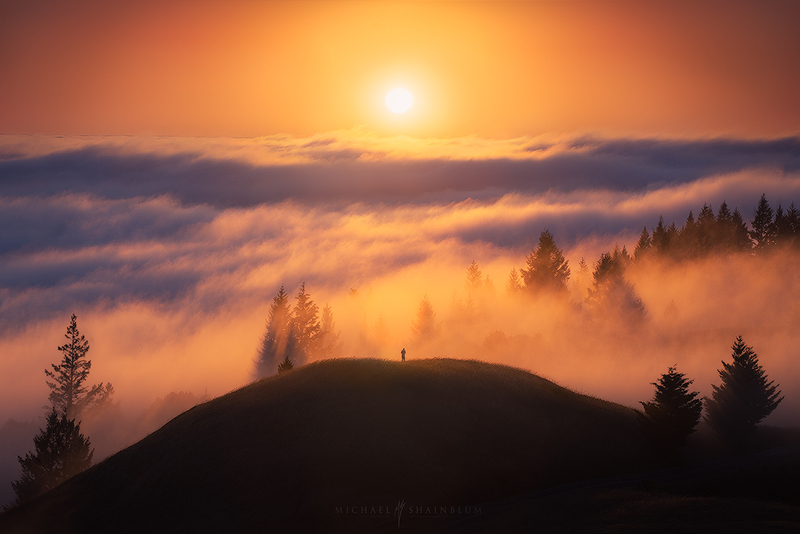 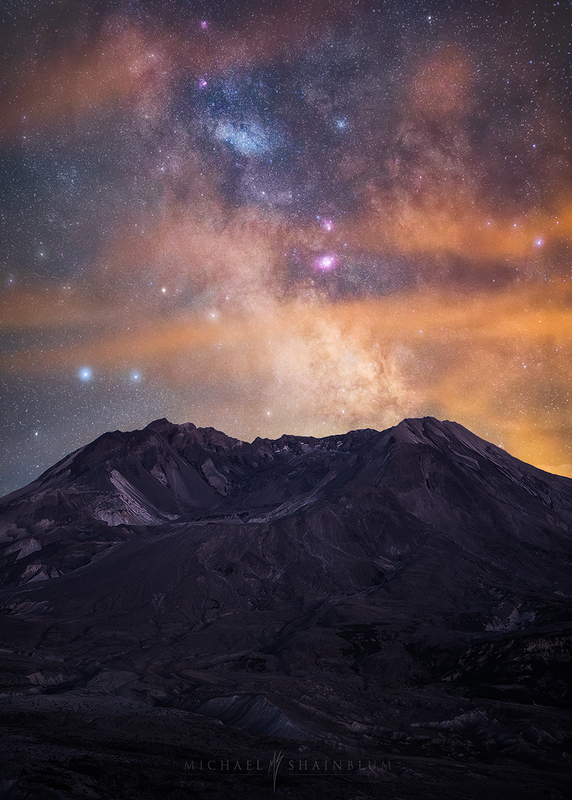 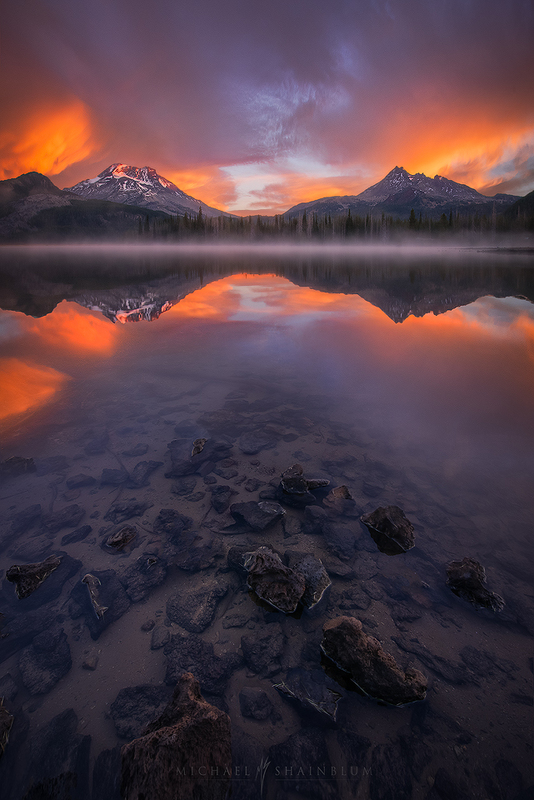 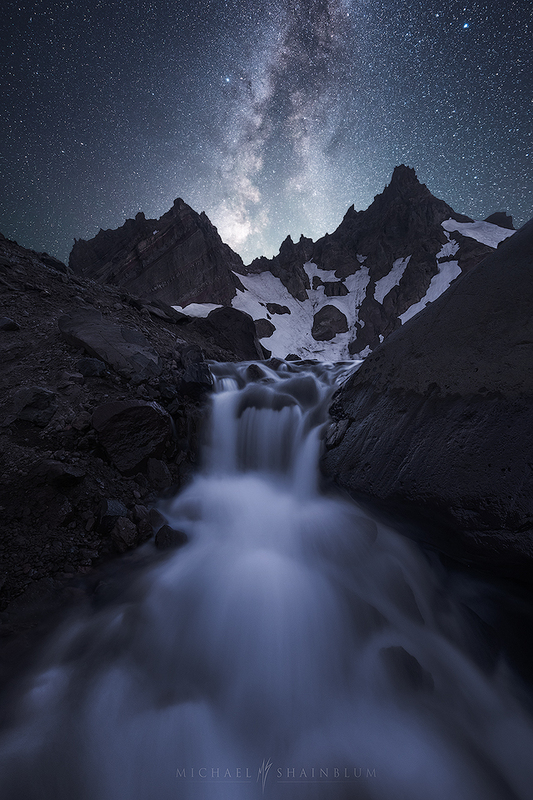 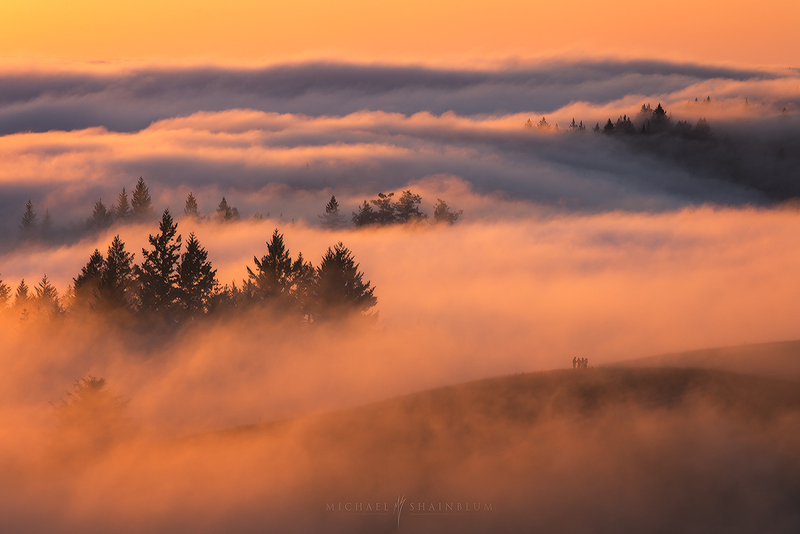 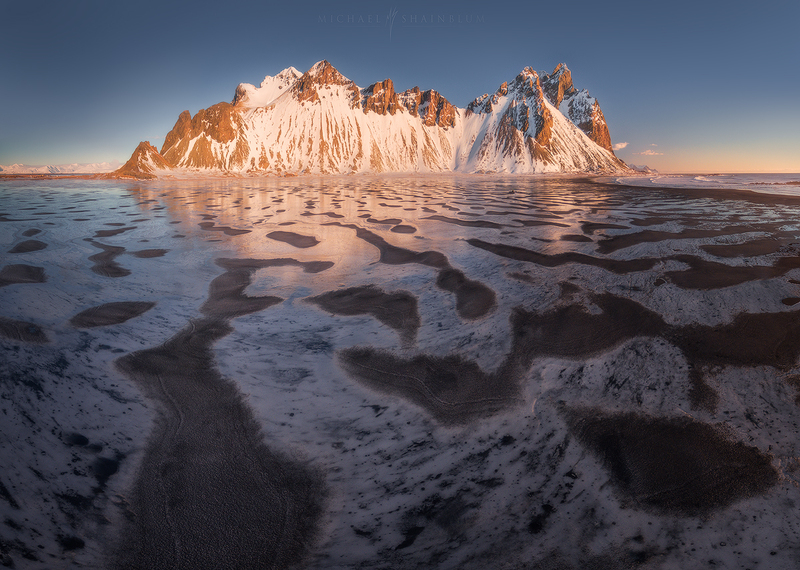 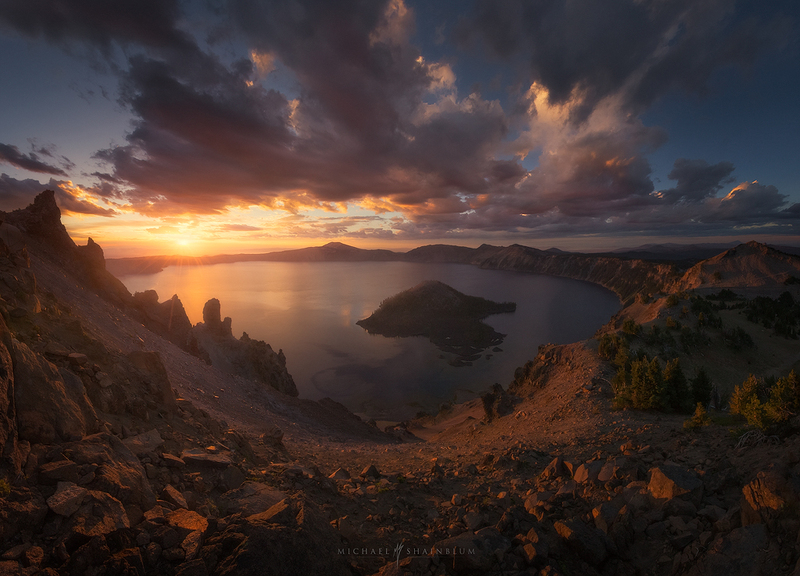 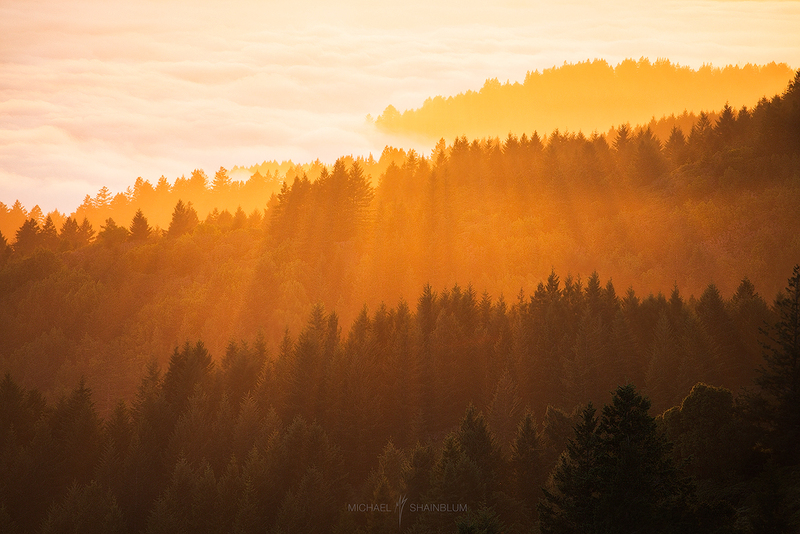 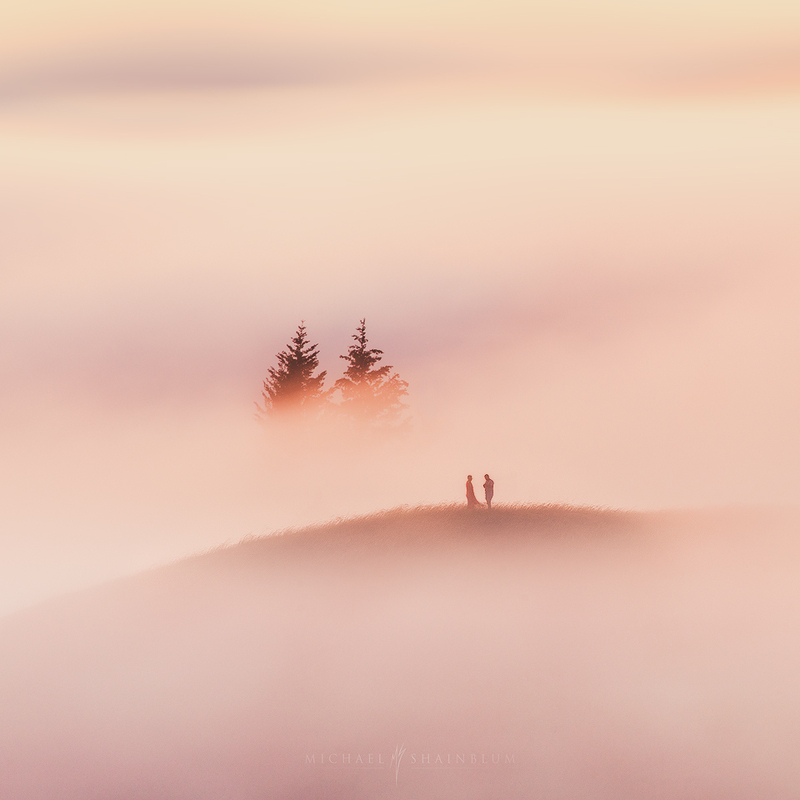 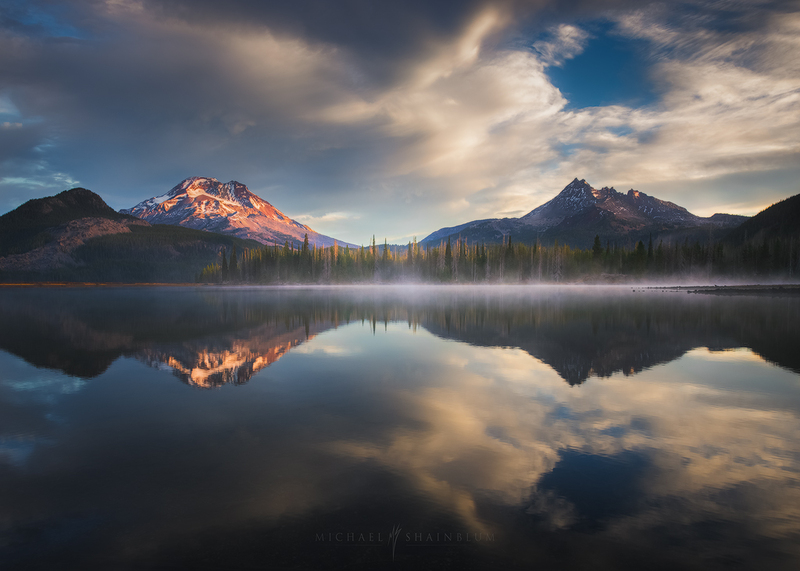 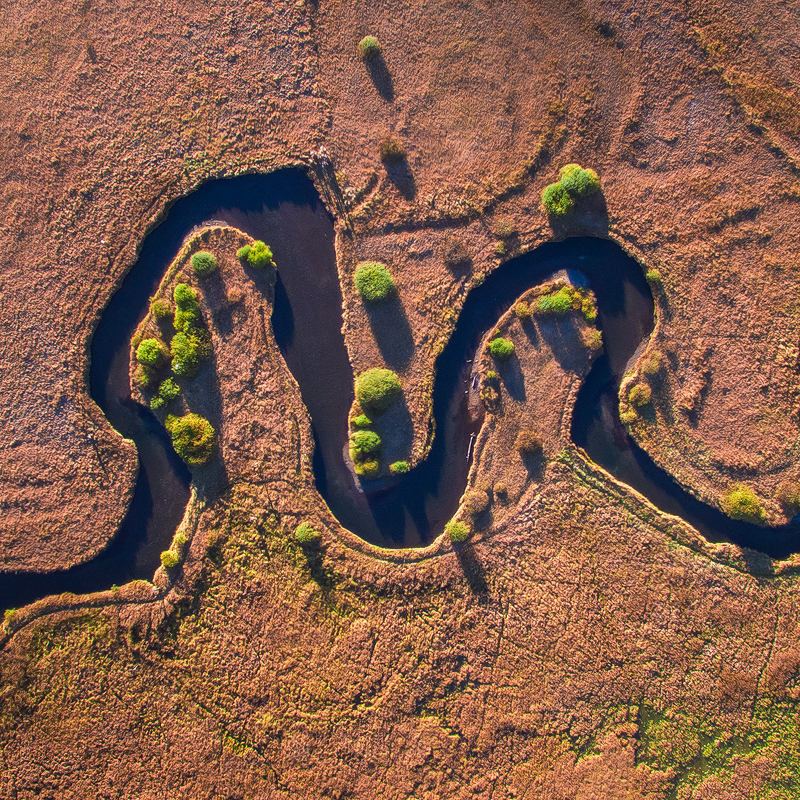 Mountains, Hills and Plains landscape photography gallery by Michael Shainblum. 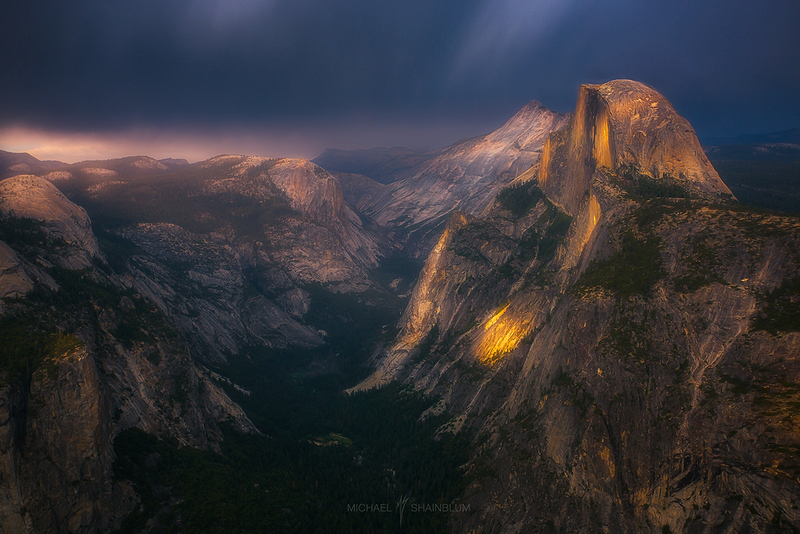 The last light on Half Dome during sunset in Yosemite. 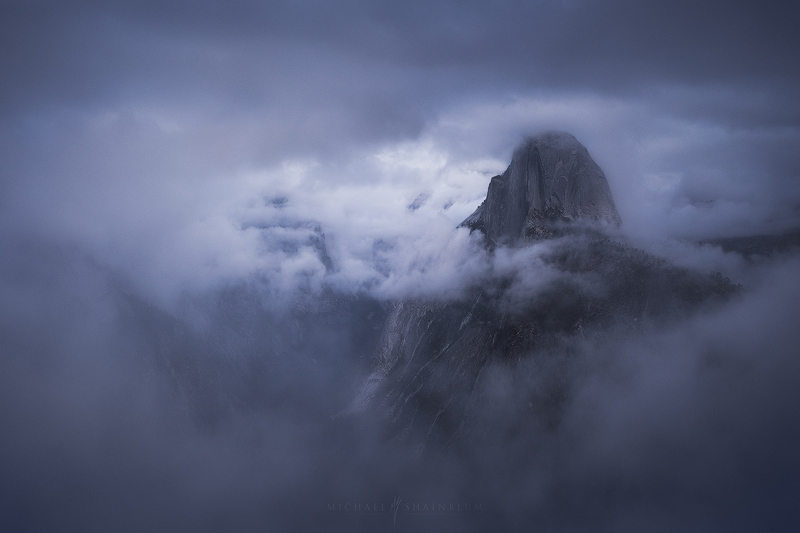 Half Dome surrounded by storm clouds at Yosemite National Park, taken from Glacier Point. 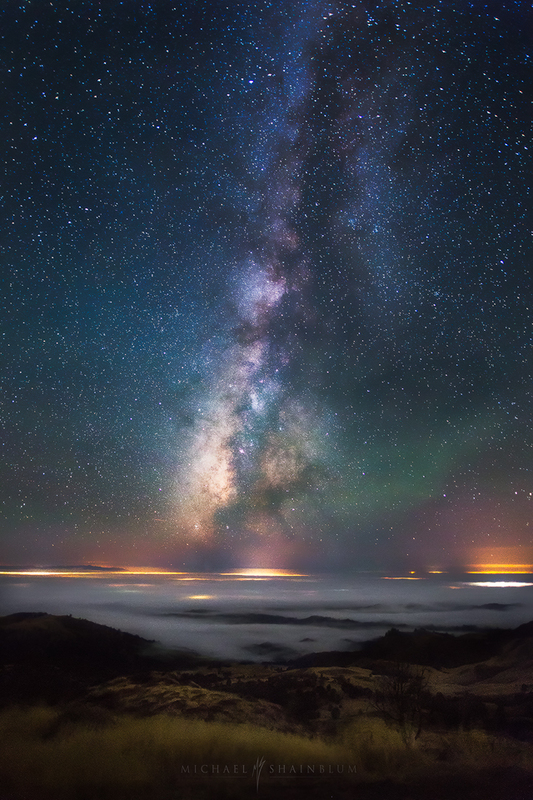 The Milky Way over Point Reyes CA. 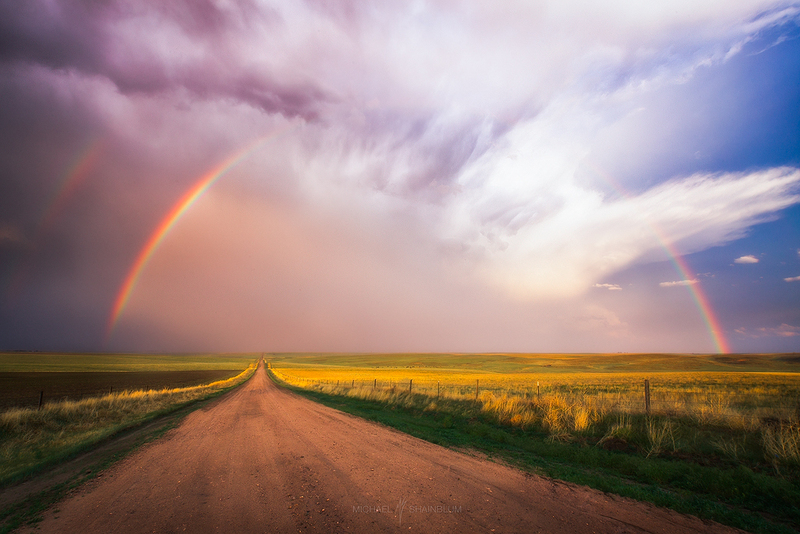 A rainbow over a road at sunset. 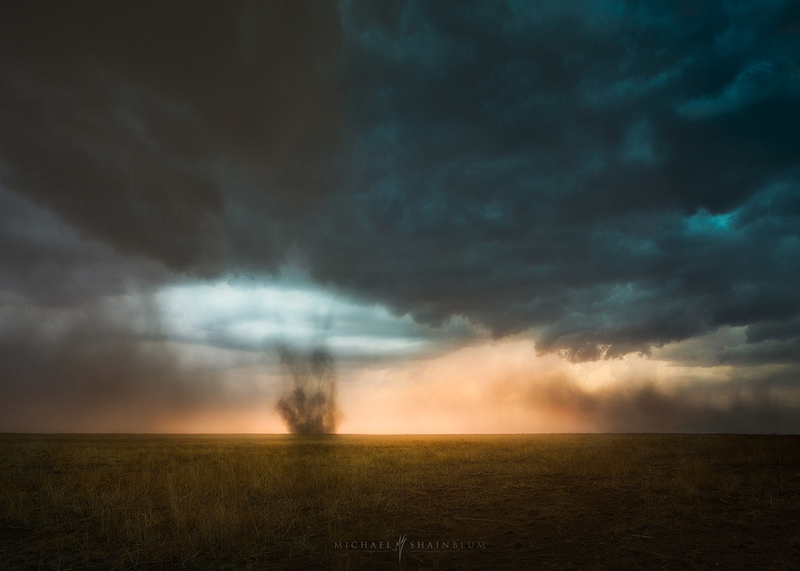 Storm Chasing in Eastern Colorado. 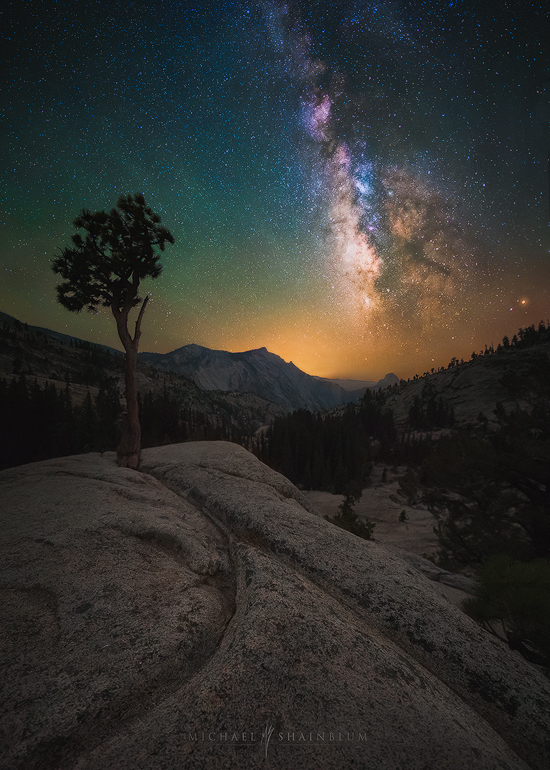 Olmsted Point Yosemite Milky Way. 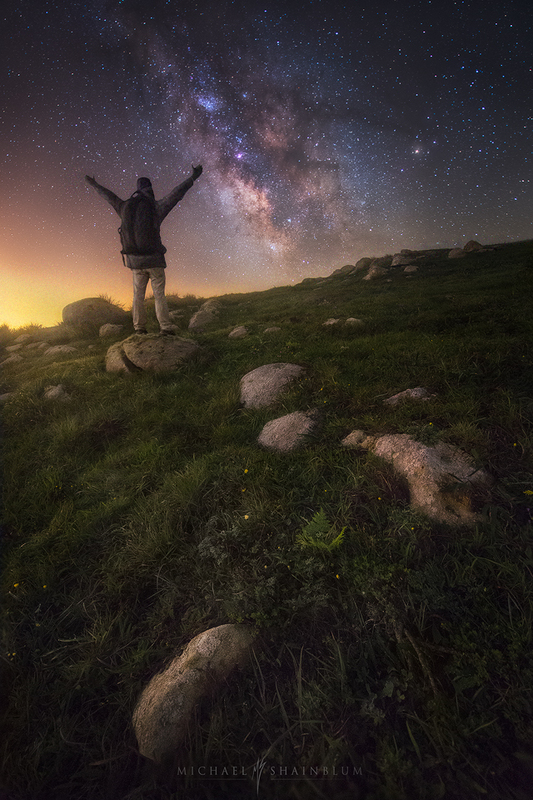 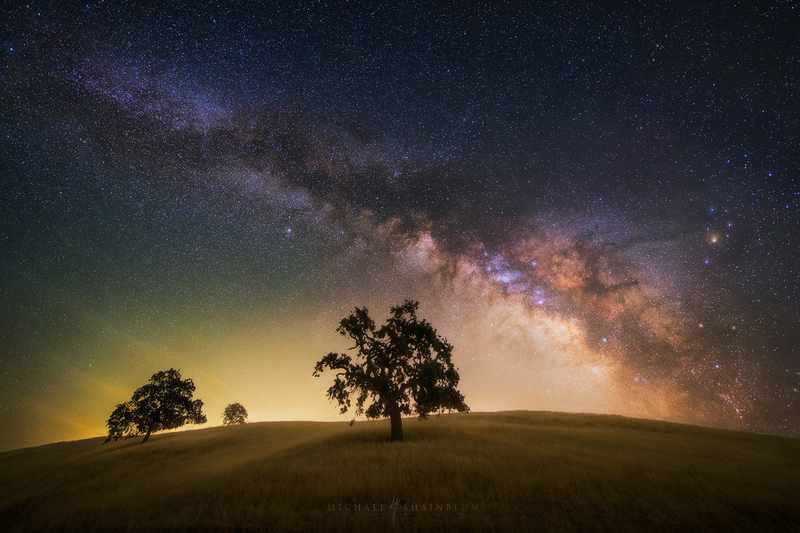 Milky Way photography over Santa Ynez, California. 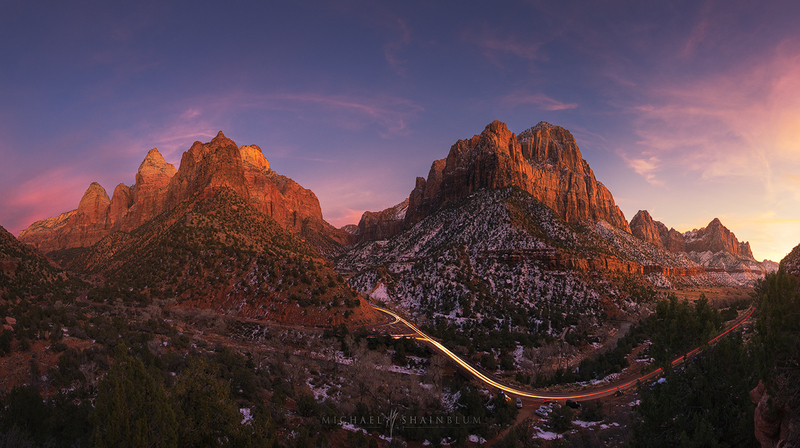 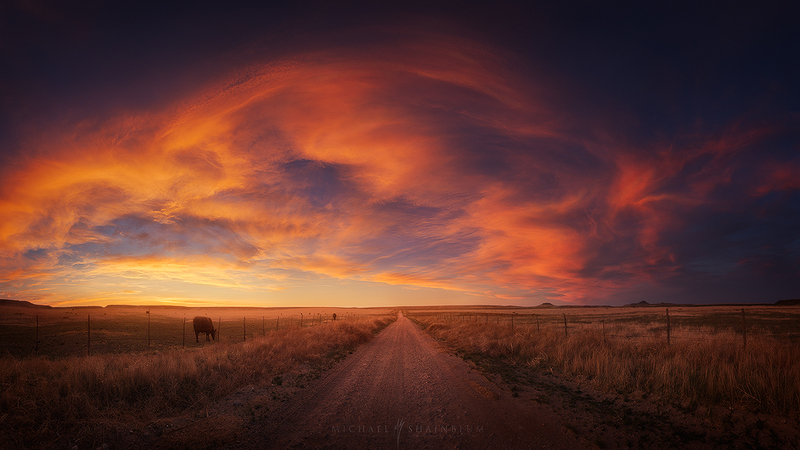 Sunset panorama of a road in the desert. 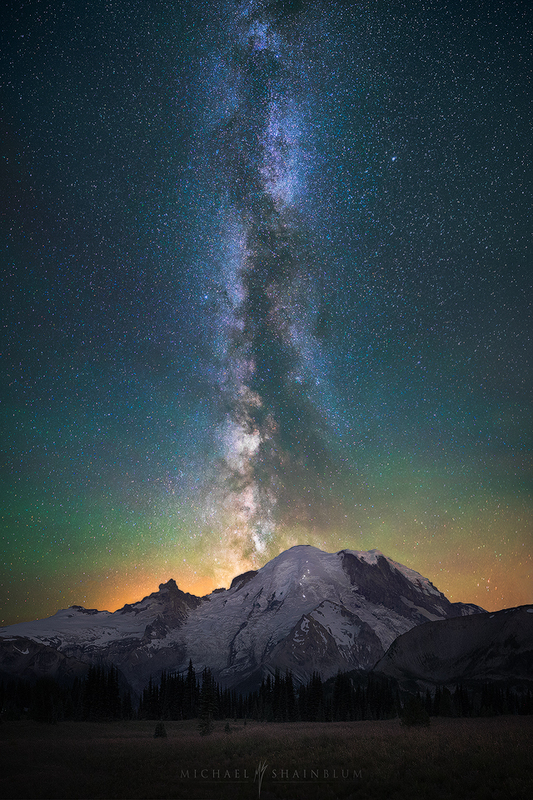 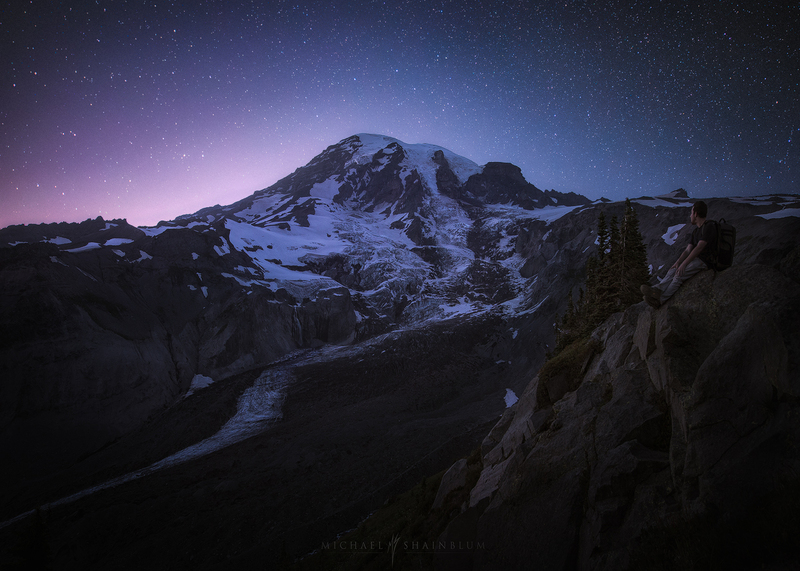 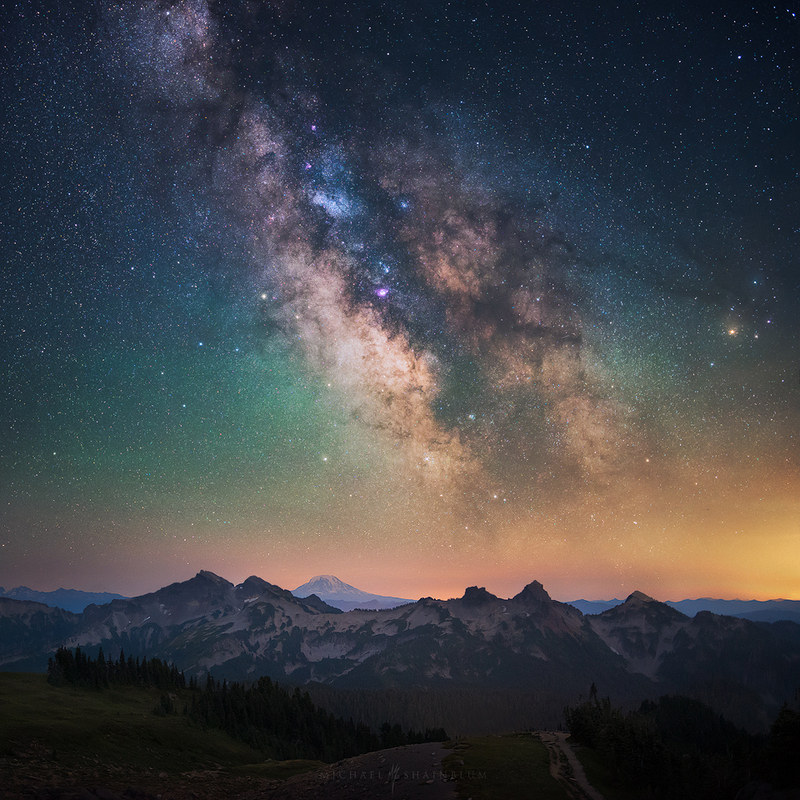 Hiking at Mount Rainier under the stars. 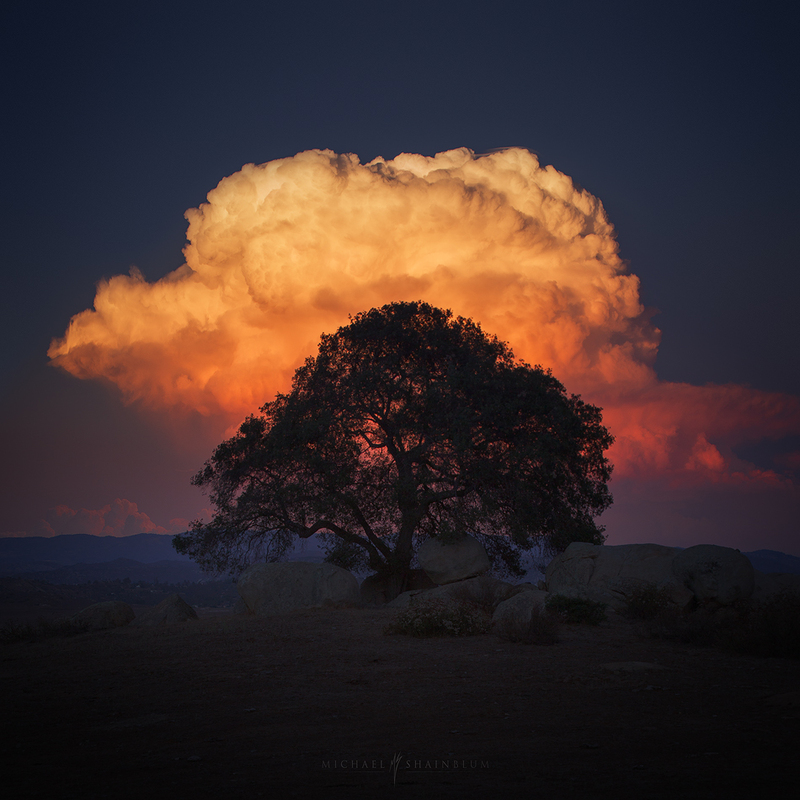 Large sunset cloud over a tree in San Diego. 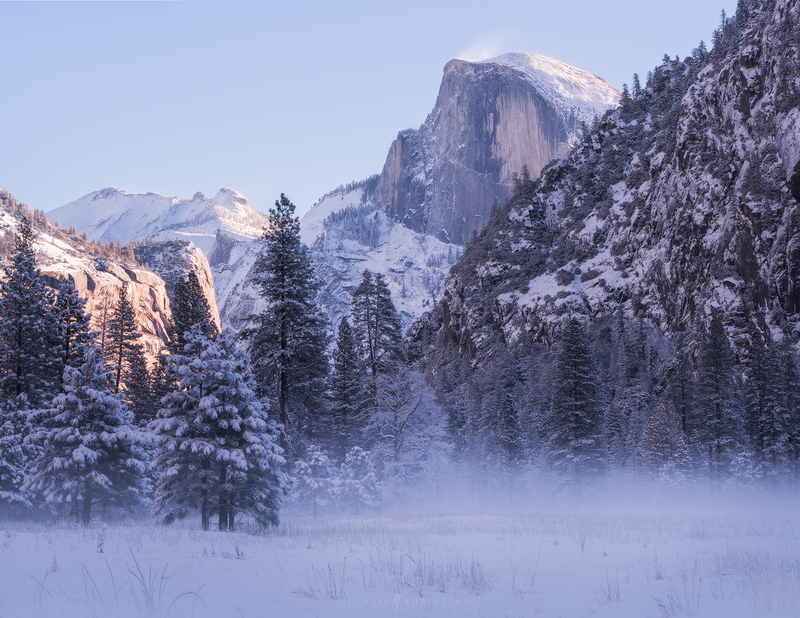 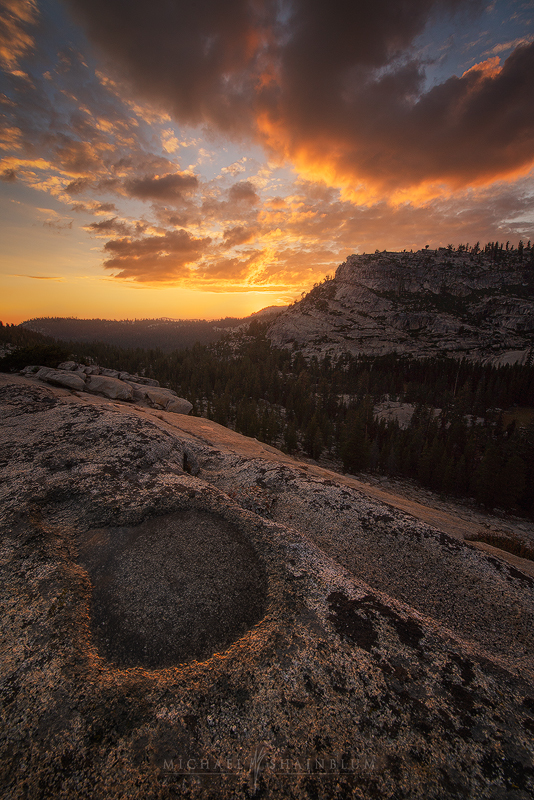 A photo from Olmsted Point in Yosemite National Park. 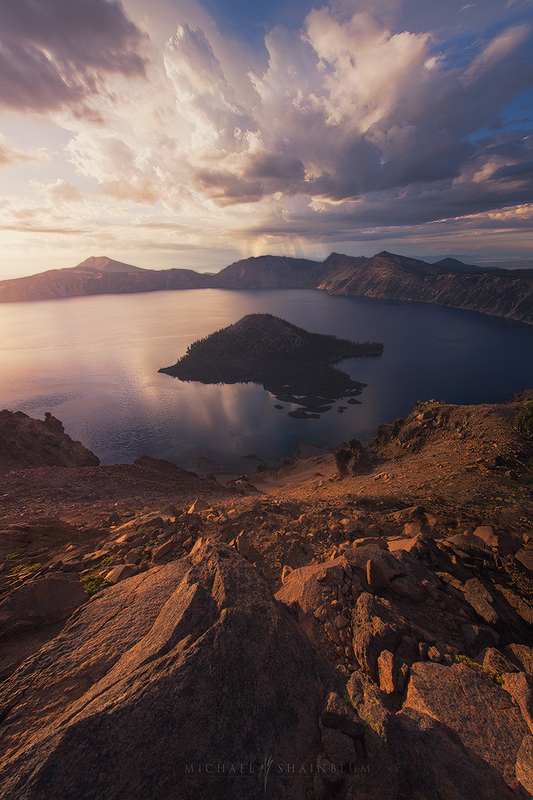 Crater Lake Oregon during sunrise. 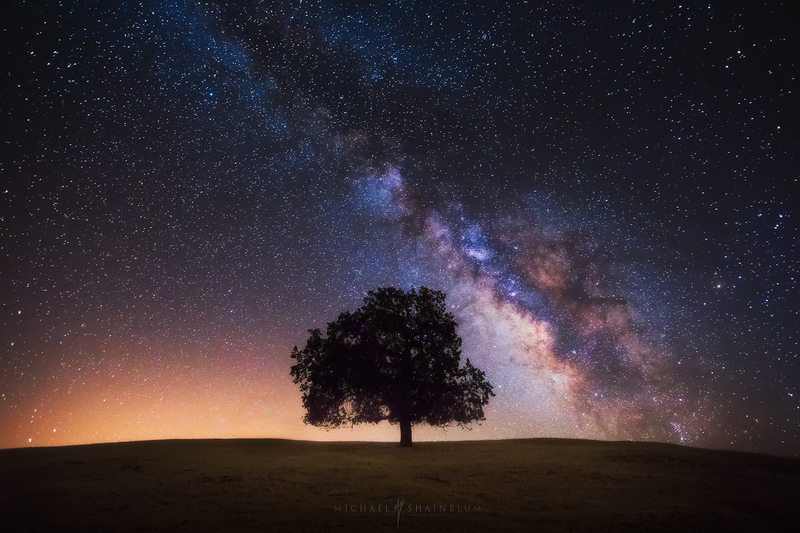 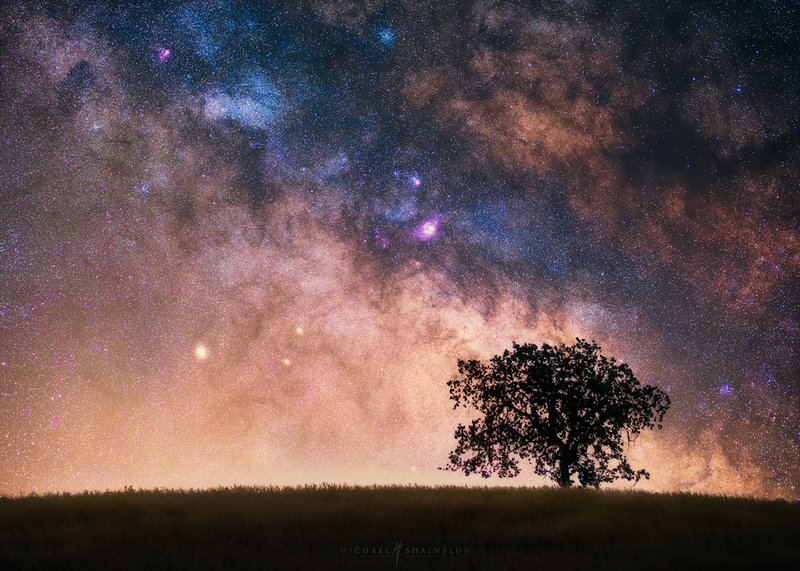 The Milky Way above a lone tree in Santa Ynez California. 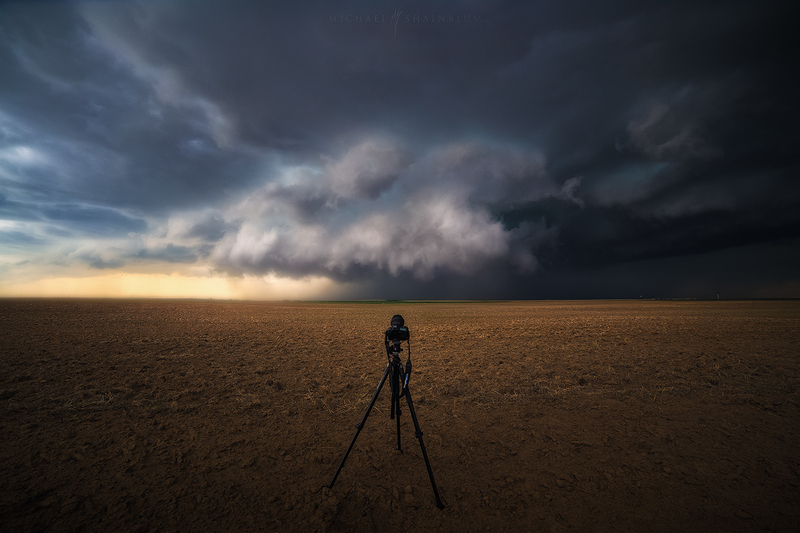 Behind the scenes storm photography. 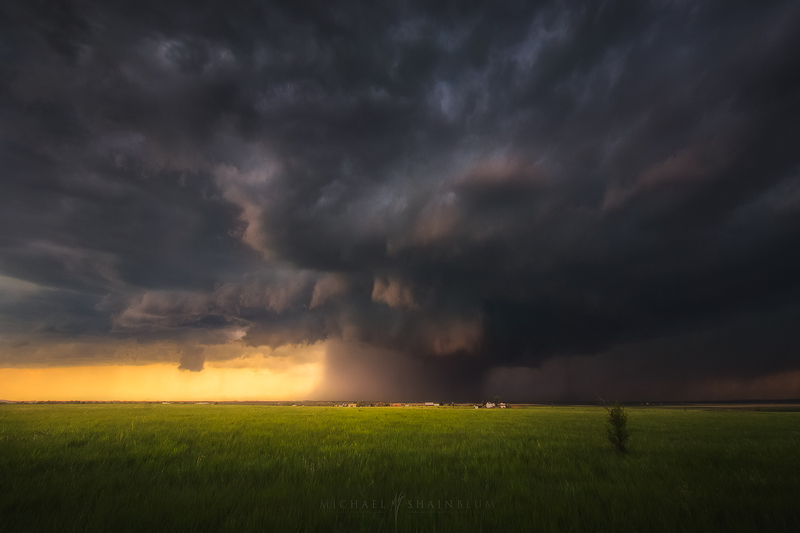 A Supercell taken while storm chasing. 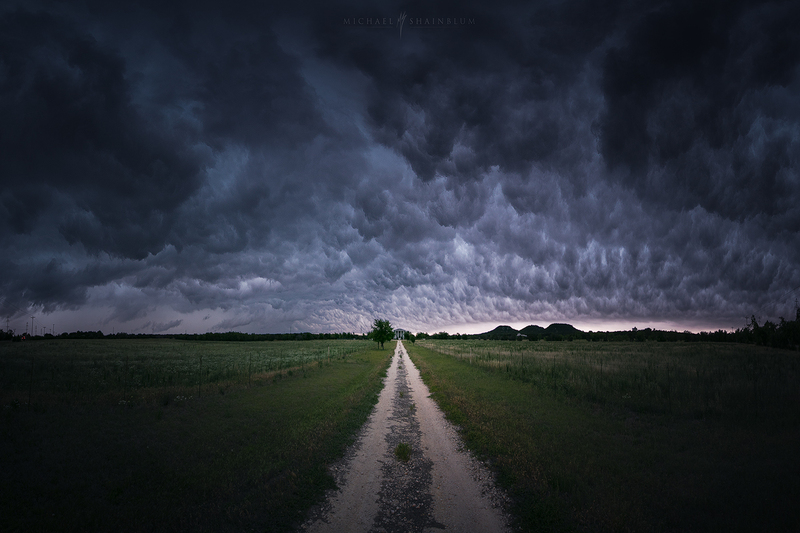 A small land spout taken in Texas. 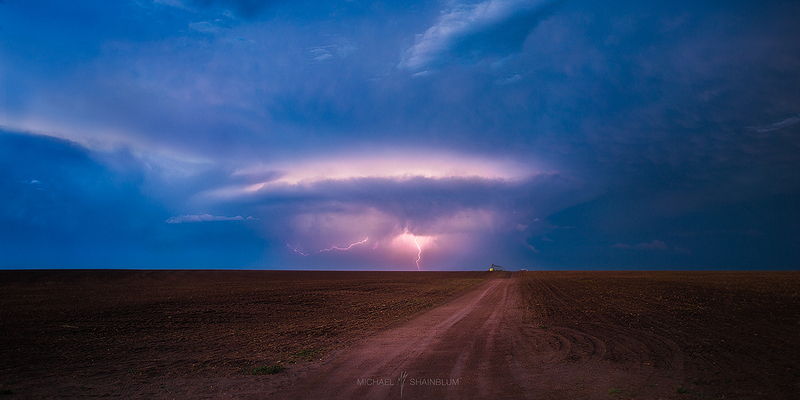 Lightning on the Great Plains taken while storm chasing. 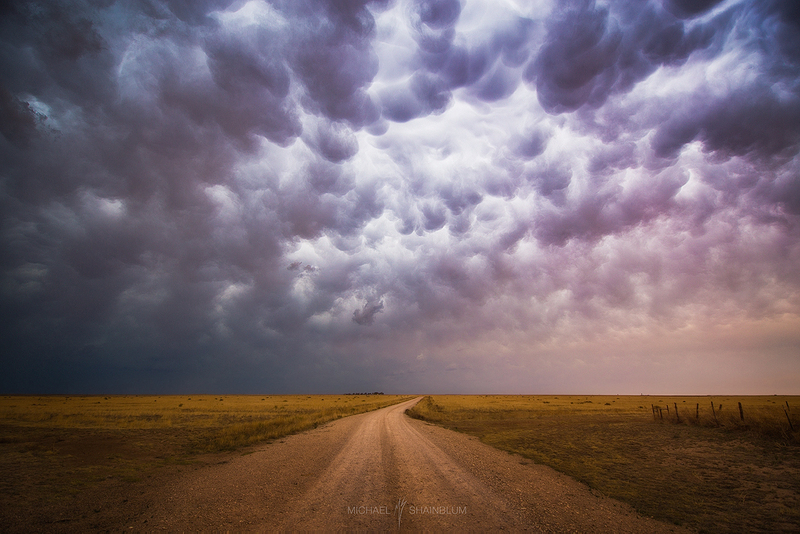 Mammatus storm clouds over a trail on the great plains. 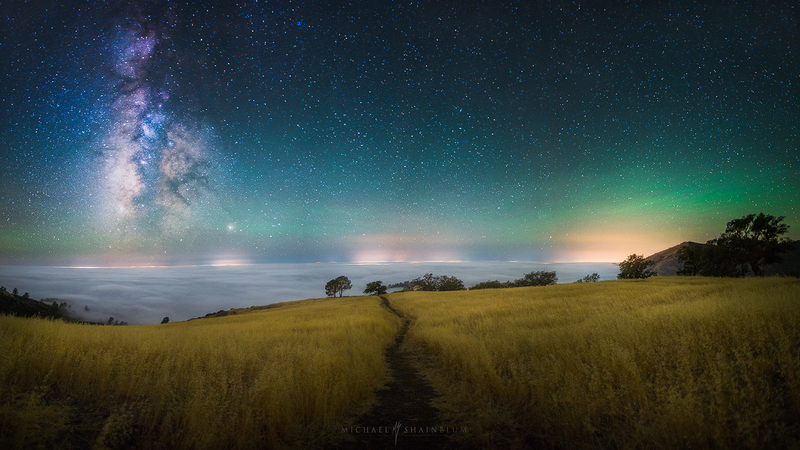 Santa Ynez under the night sky. 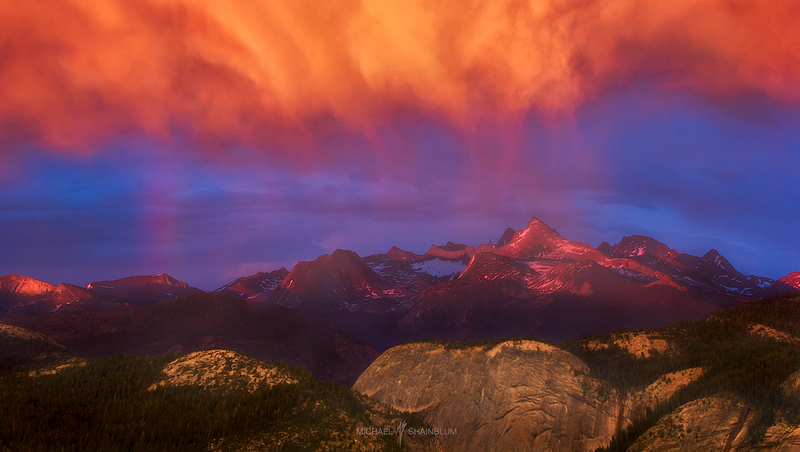 Yosemite mountain range at sunset. 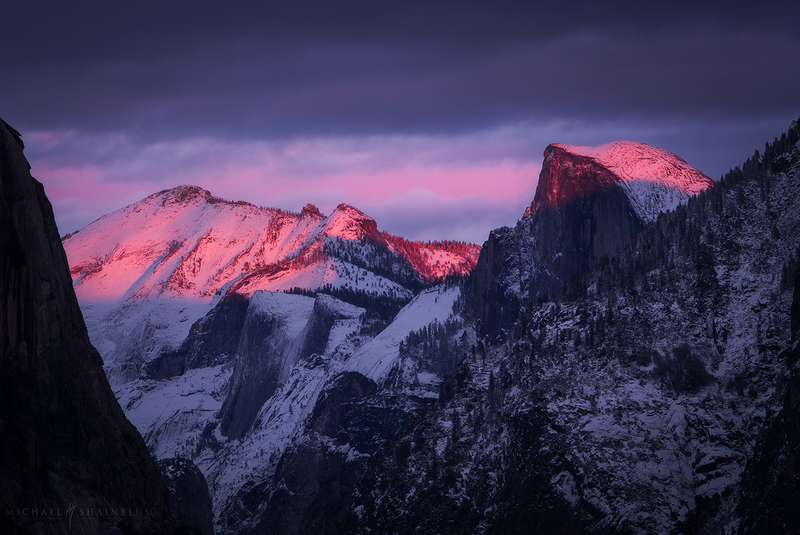 Half Dome at Sunset. 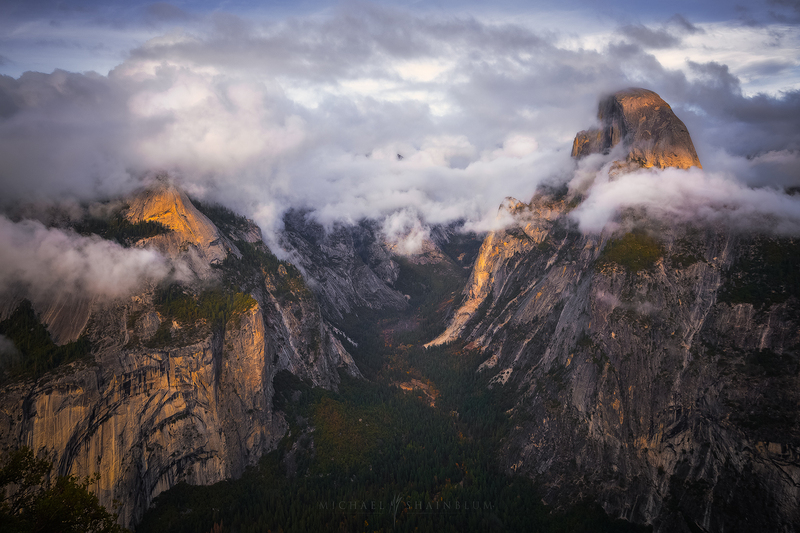 Taken from Glacier Point in Yosemite. 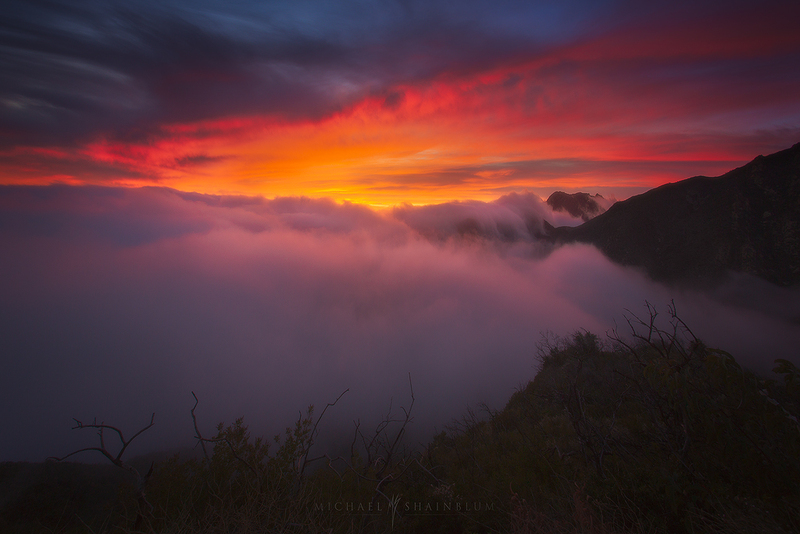 Above the clouds and fog in Santa Barbara for sunset. 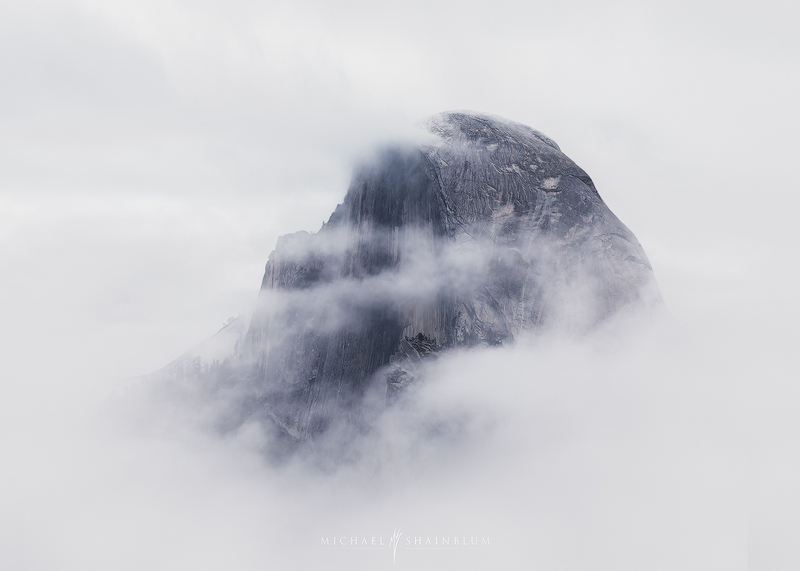 Yosemite Half Dome Milky Way photography. 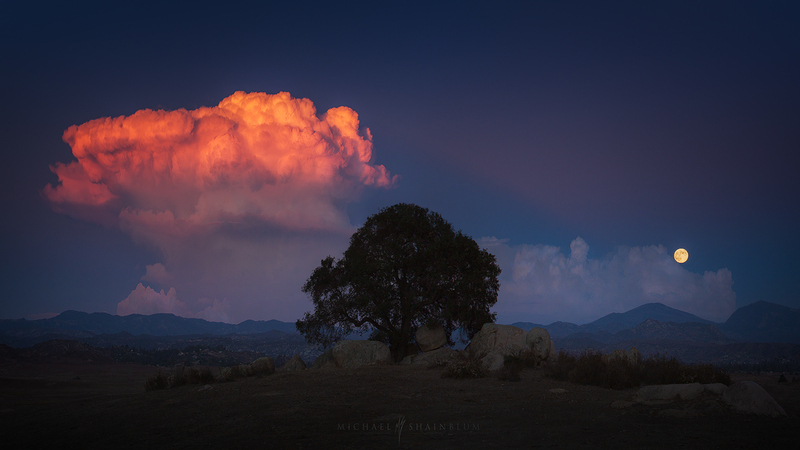 Moon rise and sunset storm cloud.